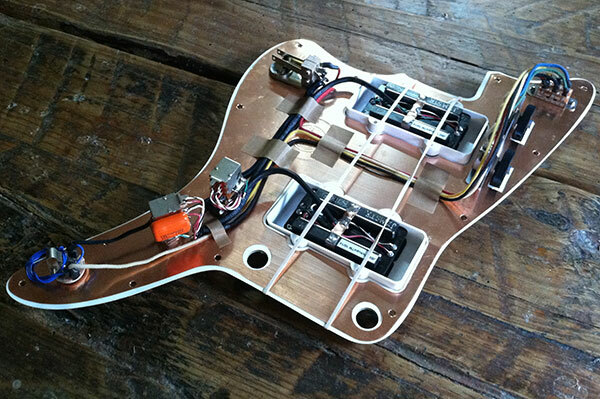 Use this page to order a prewired Jazzmaster assembly with Joe Barden JM Two/Tone wiring. Select from the options below and then add the assembly to your basket. You will find information about each option is at the bottom of the page. The initial price of every prewired assembly is $0, but after you add it your basket the actual price will be calculated. You can view the total price by viewing your basket contents. But get this.....both modes are dead quiet!! No 60 cycle hum is anywhere to be found. The wiring and control function is really straight ahead vintage (down to the "period correct" multi-colored cloth wire) with the exception of the 2 push-pull pots used to switch between the single coil sounding mode and the full humbucker mode of the Joe Barden HB Two/Tone pickups. As far as the wiring, we use only top notch components which are all are treated with Caig Deoxit for long trouble free use. 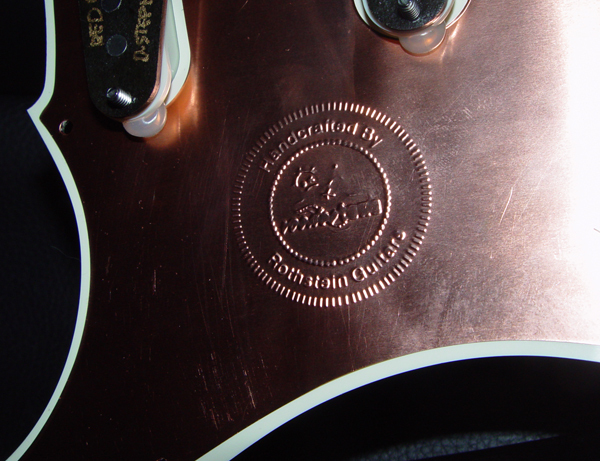 The assembly also features our custom made copper shield, only available at Rothstein Guitars. If you haven't played Joe Barden pickups yet, then prepare for a religious experience. 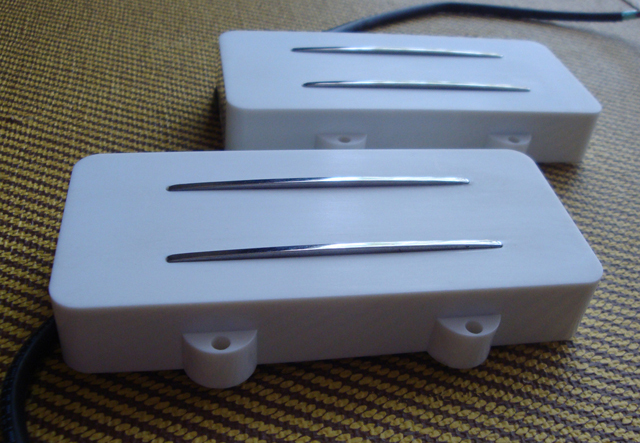 The Joe Barden JM Two/Tone is a full-sized dual blade humbucker pickup mounted into a Jazzmaster cover. 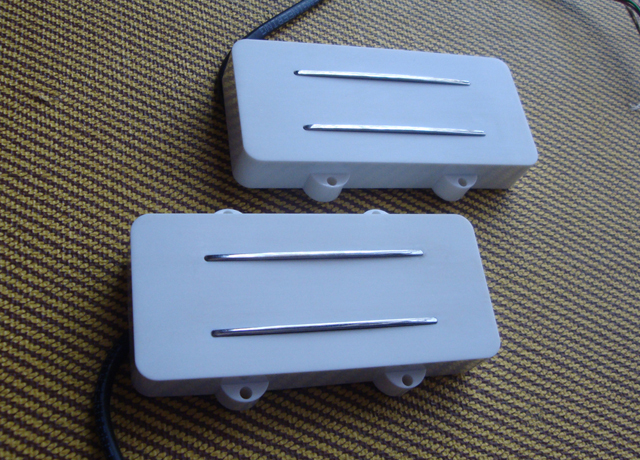 The pickup was designed for players who are looking for maximum tone, clarity, sensitivity and output. The JM Two/Tone� provides incredible low-end clarity and overall high sustain characteristics that make it suitable for virtually any musical style, from blues to rock to jazz. What is amazing is that the JM Two/Tone is literally two pickups in one: you get the HB (humbucker) tone when the pickup is in full mode, and when you pull up on the push-pull pot the tone and output changes to that of single coil sound with plenty of quack, but it is dead quiet. There is no switching noise and no hum in either mode. 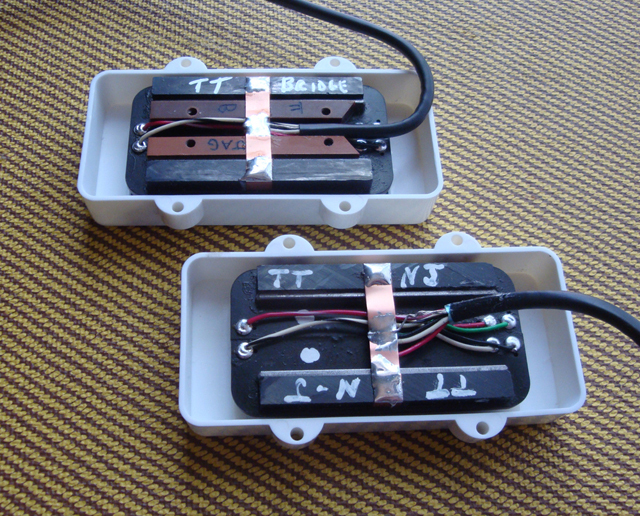 The design is a complete improvement over any kind of series/parallel or split-coil wiring. Depicted below are the prototypes that Frank from Joe Barden Engineering sent us when the pickups were initially designed. 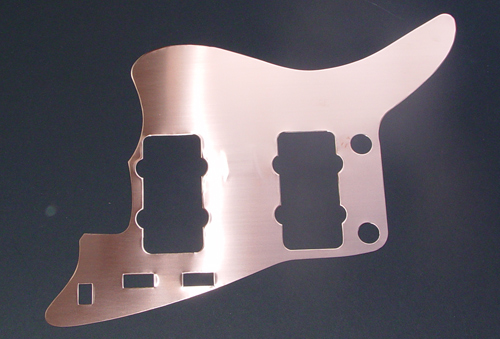 We get our anodized pickguards exclusively from Tone-Guard, and all other pickuards from WD Music Products. We have the most common colors listed in the ordering form, but you may choose from any of the many colors available and list it in the comments field. Gorgeous Anodized pickguards available from Tone-Guard in Gold, Black and Silver. Each prewired assembly is hand wired and tested to your custom specifications. 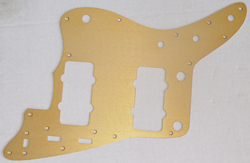 Our lead time on Jazzmaster assemblies is approximately 4 - 5 weeks. We will do our best to process your order as quickly as possible.